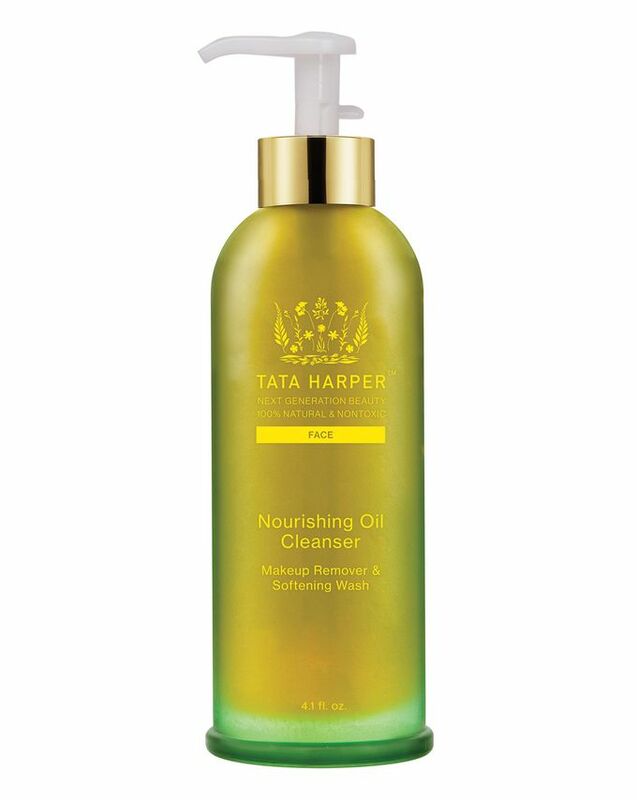 A gorgeous, soothing cleanser, Tata Harper’s Nourishing Oil Cleanser has a gentle formula that attracts and dissolves excess sebum, grime and make up residue; purging your pores of impurities without compromising skin’s natural barrier function. Purifying and nourishing, it stars beta carotene, vitamins A, C and E alongside lycopene and strengthening omega 3 – infusing your complexion with a cocktail of essential vitamins and minerals to leave your face super-soft, resilient and radiant. Ideal for dry and more mature skin types, it can be used morning and evening alone, or before a second cleanse with one of Tata’s ‘Refreshing’ or ‘Regenerating’ cream or gel formulas, depending on your skin type and its needs. 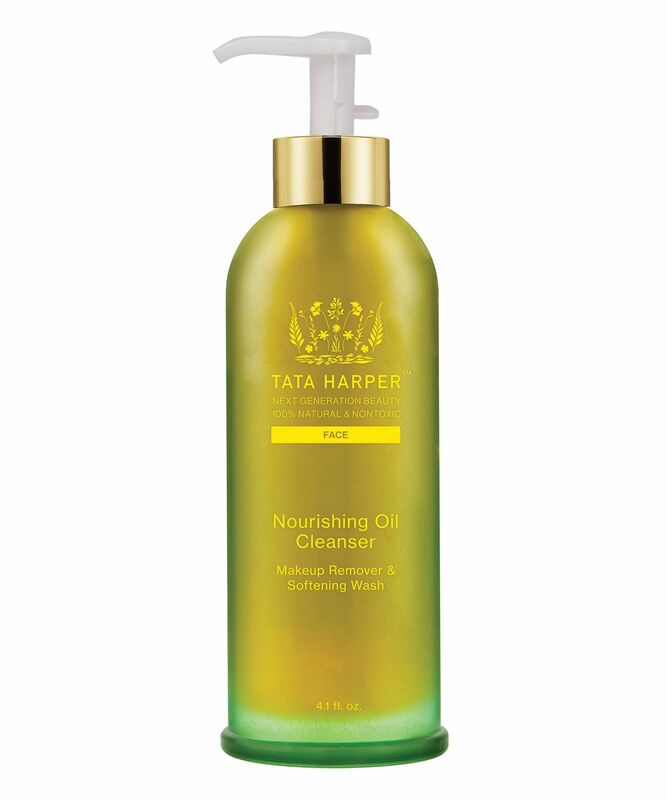 Painstakingly formulated with 100% natural ingredients (65% of which are certified organic), Tata Harper’s Nourishing Oil Cleanser is the perfect way to effortlessly take the day off; dissolving everyday dirt and pollutants without compromising your skin’s equilibrium. Contained in Tata’s signature frosted green glass, this rebalancing cocktail of botanical oils and extracts – including Rosa Canina seed, sunflower seed, apricot kernel, jojoba seed, argan and olive (to name a few) – emulsifies with water, turning from oil to softening wash as it leaves your skin squeakily clean (but not overexposed). With the majority of the ingredients home grown on Tata Harper’s farm, and the formulations developed and produced in small batches in Tata’s Vermont laboratory, synthetic ingredients have no place in this remarkable skin care line. With no generic ‘fillers’, preservatives or pre-made bases to compromise her products’ efficacy, each ingredient has a very specific purpose - hydrating, protecting, clarifying or firming - nothing is included that doesn't add to the overall brilliance of each formula. Use: Daily AM & PM Recommended For: Dry and sensitive skin types. To Cleanse: Apply the Nourishing Oil Cleanser to a dry face. Lightly splash with warm water and massage into skin to cleanse. Rinse thoroughly. To Remove Make Up: Saturate a cotton pad and gently apply to whole face to remove makeup and lift impurities. Use daily. In winter this cleanser beats all the other cleansers way down, it leaves skin nourished, perfectly clean and soft, takes all eye make up off with no stinging or making the eyes water for hours. A winner. This is hands down, phenomenal. I use this as my initial cleanse to remove my makeup in the evening, then subject to how much I’m wearing that day, go back in as a second cleanse. This oil 100% removes everything and with ease, no heavy rubbing or messaging required and the aroma is lovely. Doesn’t sting eyes, or slips or slides all over your face leaving a mess like the Khiel’s Midnight Recovery does (yuck), one pump is plenty and just take your time to work around the face. A unicorn product for me at least. Great for dry, sensitive skin which I have. Потрясающий аромат!! У Tata Harper очень хорошие умывалки. Это масло одно из любимых (второй любимец - Regenerating Cleanser). Наносить масло на лицо особое удовольствие: потрясающий аромат, хорошее очищение и увлажнение. - - - - - - - - - - - - - - - - - - I love Tata Harper cleansers/ This one is my favourite, another one is Regenerating Cleanser. When you clean your face with this oil you always enjoy fantastic smell and then you get clean and hydrate skin. I wish I didn't love this so much! This cleanser is freaking amazing but it is just so pricey, IMO. I've had two now and try to catch it with promotions, etc. to make it justifiable. But I really must admit it feels so therapeutic to use and there is nothing like it on the skin. It's amazing; leaves skin feeling beautiful and doesn't cause any breakouts. A+, only giving it four stars due to the price. Sorry, I don't understand the good reviews for this which I bought it based on them. This oil is really heavy, doesn't cleanse very well and I think my pores and general condition of my skin has become quite bad. Halfway through this bottle and just giving up now trying something else. Expensive mistake. Adore this cleanser so much, my skin feels beautifully clean but not dry once i've used this as my second cleanse in the evening. It smells define and a bottle lasts ages. Ignore about the pump as it used to be rubbish, but my new one the pump is different and works great now. Amazing. Like so many others, I really love this cleanser, but the pump stops me buying it again. I've had two bottles so far, but both pumps were terrible and either stuck or squirted oil everywhere. I really hope they can improve the packaging, as this cleanser is so gorgeous. The smell, texture and results are great and I would love to use it again, but not willing to pay this much for a defective pump. I would buy this cleanser again without hesitation, even at that price point, because it is so lovely to use. But I'm afraid I have to mirror the reviews already here. The pump is awful, and I have to move it cm by cm to get it to the right spot, and then it tends to go everywhere. And for £64 a bottle, that's really quite unacceptable. This is a gorgeous, beautifully textured and nice smelling cleanser. It is a joy to use and leaves my skin very soft. The pump isn't very good. It squirts oil everywhere. I loved this cleanser, however the pump dispenser was a disaster. The pump was very stiff and when the cleanser did come out it spurted out and most of the (very expensive) product ended up on the counter top and tiles! Cult beauty sent me a replacement pump, but this was jus the same. Sadly i returned the cleanser... it has really put me off trying other TH products. Shame! The first time I got this oil cleanser was in a Caroline Hirons beauty box. I have ordered it individually ever since, which shows how impressed I have been with it. I love how this oil emulsifies with water. So easy to remove. I did take it on holiday to another country, where somehow, the water there did not have the same effect and I needed a wash cloth, but in the U.K./Europe, it works perfectly well. I like pairing it up with the Tata Harper's Purifying Cleanser for a double-cleanse. I really enjoy using this oil. It feels very lush and also leaves my skin looking great. This oil is heavier than others I normally use. I personally prefer the purifying cleanser from this range, but I won't hesitate to use this one either. 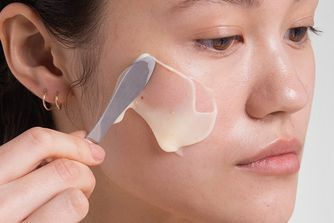 I do find it leaves somewhat of a residue behind - a good residue nonetheless - but I prefer not having anything left on my skin after cleansing. Again, personal preference. This is a lovely product but the pump dispenser on mine is not working properly. Sometimes I can't get anything out and other times it squirts oil all over the place. At this price point it's unacceptable. Lucky I got the product for free with a Cult Beauty offer, otherwise I would have been very disappointed. The packaging problem is the only reason why I wouldn't purchase it, though. I received this product in the Caroline Hirons Box. I really like the scent and I like how soft it feels on the skin - it's very good for doing a facial massage. The only reason why I'm giving it four stars and not five is the fact that it doesn't really emulsify - you will need to use a flannel to remove it. This can be a bit annoying as it makes the whole cleansing process that little bit longer. Other than that - it's great. There are some very good cleansers out there, very good. And Tata H Nourishing oil is amongst the very best of them. This is an all-purpose gentle cleanser. It removes makeup, but is ideal for AM cleanse as well. This will make your skin happy. I love that this oil is natural and smells wonderfully aroma-therapeutic. I did however, find this impossible to emulsify and ended up using another product to remove it. It just seemed to solidify in a horrible way when trying to remove it leaving greasy slicks behind. I have found another purpose for it which is skin softening. I use it in the bath as a face mask and remove it with a slightly lathering facial cleaner. Leaving it on the face does add to the softening effect and skin afterwards is comfortable and nourished. I got this as a deluxe sample from the Cult Beauty Best of 2015 box (which was wonderful!) but wouldn't purchase this again. There is nothing miraculous about this product. It cleans and nourishes your skin. Didn't irritate my sensitive skin and left it feeling soft. Price point is expensive - other cheaper cleansers I've used have done as good a job. 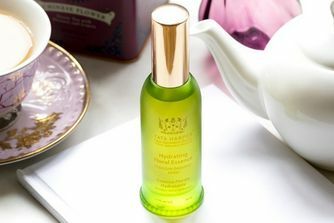 I found out about the whole Tata Harper range through the beyond gorgeous skincare expert Caroline Hirons. I have a dry-dehydrated skin so I decided to give the Nourishing Oil Cleanser a go and as expected I did fall in love with it! Because of the price tag and also the amazing ingredients I do not like to use it as a first cleanse but as a second cleanse instead and also do a facial -à la Lisa Eldridge- massage with it and my skin feels amazing afterwards. Would definitely repurchase! I have been using this oil based cleanser as a first step cleanser for 2 years now. I use quite a lot of eye makeup and this is the ONLY cleanser that takes it all off in a second. I have mixed skin and can assure you that you must not be afraid of break-outs: this cleanser (I guess if used as a first step cleanser) just does its job; get rid of the make-up and leave the skin super smooth and hydrated. Go for it. Really like this cleanser but can't justify the price tag. When I first bought this item off Cult Beauty 2 years ago it was only £48! Not worth £68. I love this so much, I think I'm on my third bottle! I use it mostly in the evening but sometimes in the morning too. Tip: If you have a few minutes, massage it and leave it sit for 5-10 minutes before rinsing. I do this when my skin looks dull and it's magical! I have around five different cleansers but this is by far my favourite for when my skin needs a little extra love, a bit dry/winter skin. I am on my second bottle, the pumps are now great, one press and it dispenses the right amount for your cleanse. I almost hate to wash it off! Will definitely repurchase. I absolutely love this cleanser, so nourishing and it doesn't clog my pores. It's absolutely gorgeous. The most wonderful oil I have ever used. I am prone to very problem skin but not with this product. Skin is calmer and clearer. Love this. Use with the purifying cleanser for a double attack. I used this product for two months and I think it's great. Unfortunately the package is not good. When I have to use the dispenser, the product splits out. The good oil leaves the skin bright, I want to repurchase it, but I'm waiting that the packaging will be changed. This oil is the best there is but the pump is awful. Don't let it put you off though - just decant. The product is worth the hassle. Smells delightful. Great at removing makeup. Awful packaging. Pump dispenser is too stiff. Asked cult beauty to send me a new one - it was exactly the same. Ended up having to unscrew the pump and pour it into my hand. Resulted in a huge waste of product. It is too expensive to waste. TH either lower the price to jusitfy the product waste OR sort out your packaging. Unfortunately will avoid in the future. This cleanser is such a pleasure to use, It is my favourite second cleanser. However the pump is terrible. It takes ages to move the pump to the correct spot to dispense and then it either doesn't come out or squirts all over. It was so bad that I contacted Cult Beauty who kindly sent a replacement pump but this one is exactly the same. I got this cleanser in the Caroline Hirons Cult Beauty box and despite really liking it, I would not repurchase because of the terrible packaging. This is a very good product to remove makeup or to second cleanse the skin. I rephrased a few times already. It lifts away full make up beautifully and leaves my skin super soft. Expensive, but worth it. Tata harper packaging is always a bit annoying thought. Hope they can improve on the pumps... it sometimes squirts the oil everywhere... and I hate to waste the product because it is reallyyyy goood! I had been wanting to try this for ages, and took advantage of it when the TH promo was on, so I ended up with a free bottle. This cleanser is absolutely lovely to use, I use a couple of pumps as a second cleanse and massage it into my skin before removing with a warm flannel. It makes my skin feel so soft and hydrated. Definite repurchase. I have dry skin and this leaves my skin feeling very hydrated. I usually remove it with a muslin cloth but it washes off easily even with water. If you get some in your eye it is easy to wash out, unlike other oil cleansers I have used in the past. I have recently developed sensitivities to a lot of things, for reasons we can't quite figure out. For instance, pineapple and silicon based products? Never had an issue with either before, now I break out in hives with fresh pineapple or silica creams, it's not fun after 30 years of zero allergens. Anyhow, Tata Harper has yet to bring a product to market that is bothersome to my newfound sensitivities. I was constantly told essential oils are a big no-no for sensitive or reactive skins, but nothing in her line has bothered me, and I have A LOT of Tata Products. My son has a growing collection of Tata empties that I fill with less dear lotions or water to draw his attention from the good stuff. Back to this oil in particular? Nourishing, check. Cleansing, check. Emulsifying? No; anyone who thinks that an oil is going to lather is clearly confused about what skincare is meant to do... It obliterates makeup, but it's a great product to use directly on the skin, so I don't use it for that very often. I am not particularly fond of the smell, but I am amazed at how nicely this product works for a stress releasing skin massage. My jaw muscles kind of go aahhh relaaaaaaxxx. I have a blemish prone skin, but this oil does not give me any break outs. No problems emulsifying, but I do take a heated flannel over my face after rinsing. This is so nice! I received a generous sample in one of the Cult Beauty Goody Bags, and although I was dubious about cleansing with an oil, I have a few other Tata Harper products and they're all great, so I tried it. I use the rinse-off method, and it leaves my skin feeling absolutely lovely. Sometimes I follow with another Tata Harper cleanser but it's not necessary. I will be purchasing this. This oil is divine. I love using oil cleansers and oil balm cleansers (thanks Caroline Hirons!) and this one is up there with the likes of Amazing Face, Ultimate Cleanse etc. The smell is lovely (as CH would say you don't buy it for the smell but it helps!) I like to use this as a 2nd step cleanse if I have been wearing SPF during the day, or if I want to do a little facial massage as the texture is lovely to work your hands or tools around the face and kneck area. I love all the TH cleansers, I really cant say anything bad about it; even the price doesn't bother me hugely given the effect and results I am seeing; plus it does last !